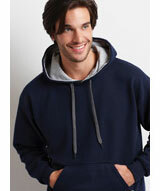 - Dunbrooke Champion Hooded Pullover. Dunbrooke Champion Hooded Pullover. 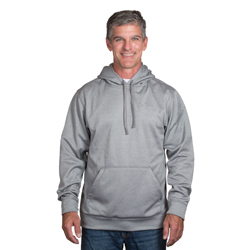 100% Polyester 7.5oz/255 GSM Tech fleece pullover with mesh lined drawstring hood.Brushed interior, pouch pocket, reverse stitchingMachine Washable. Sizes: S-5XL. Colors: Black, Forest, Heather Grey, Navy, Real Tree X, Red, Royal.